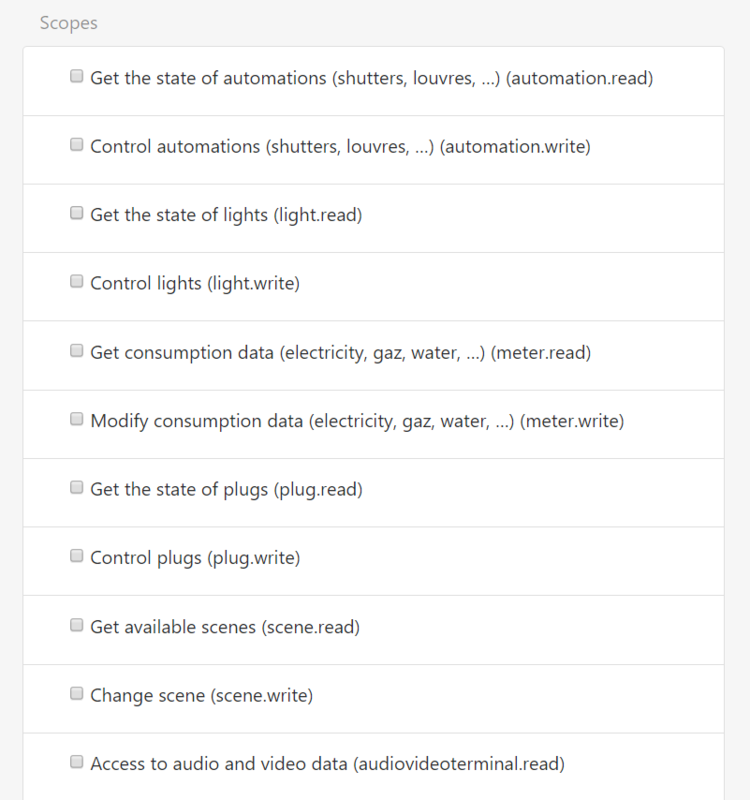 To successfully create an application with Works with Legrand, follow this step-by-step tutorial. Before you begin, be sure to complete the Getting Started tutorial, where you’ll get your LEGRAND developer account, a subscription key, and learn how to explore APIs. To use our APIs, first register your application to obtain its unique set of credentials, which will be used by your users to enable your app to access their data. 1. Go to My Applications, a page dedicated to application management. Fields Name, Description, Vendor and Logo will be displayed to end-user when he will give the consent for the application to access to his data. Url field corresponds to the web site where users can learn more about your application. Reply Url field redirect users back to your application during the authorization process. This corresponds to Oauth2 standard flow. When your application requests authorization to access a user's data, it includes a redirect_uri parameter in its query string. To authorize your application, this value must match EXACTLY the URL you have provided in the Reply Url field, including any trailing slashes. Required scopes are detailed in each API description. Each application is checked manually, so it can take time to be approved. You can find all your created applications and their status in My Applications. 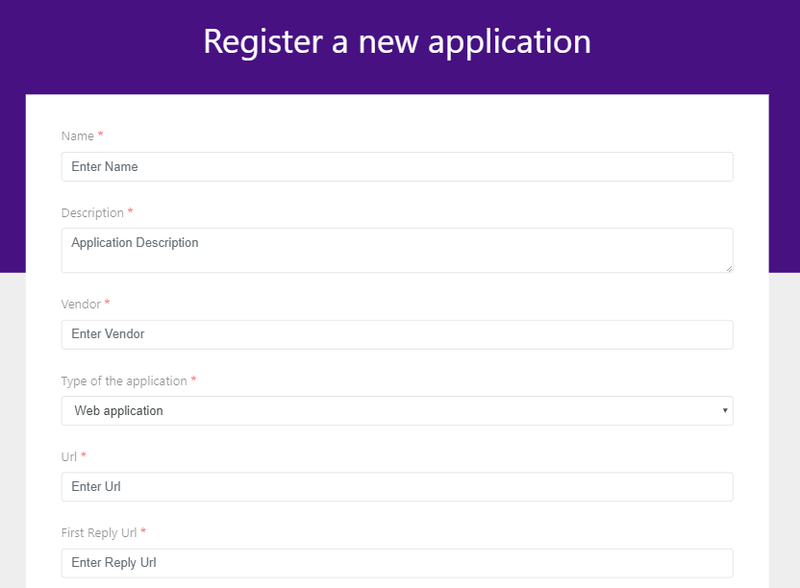 Once you ask to register your application, you will receive an email that contains useful informations for your application: client_id and client_secret.